Item number 1067/20 a-b from the MOA: University of British Columbia. 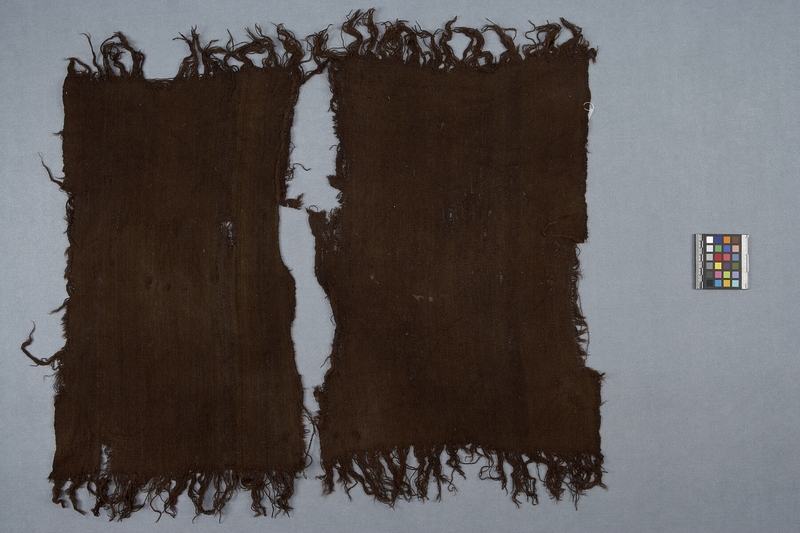 Two pieces (part a and b) of a dark brown woven textile, approximately the same size. Each rectangular piece has a string fringe at both ends, one finished edge and one frayed edge. Rosita Tovell's father was a collector of Peruvian pre-Columbian ceramics. Rosita moved to Peru in the early 1960s, while her husband served as ambassador to Peru and Bolivia. During this time Rosita began to study and collect pre-Columbian Peruvian ceramics and textiles.